It’s a great time of year for seasonal decorating on the cheap. 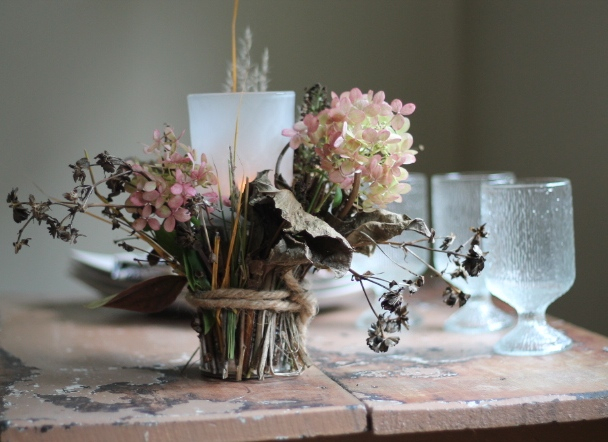 Forget the stores and try looking in your own backyard for inspiration and supplies — dried grasses, sticks and seeds can all be used to create a one-of-a-kind centerpiece that will cost you nothing at all. 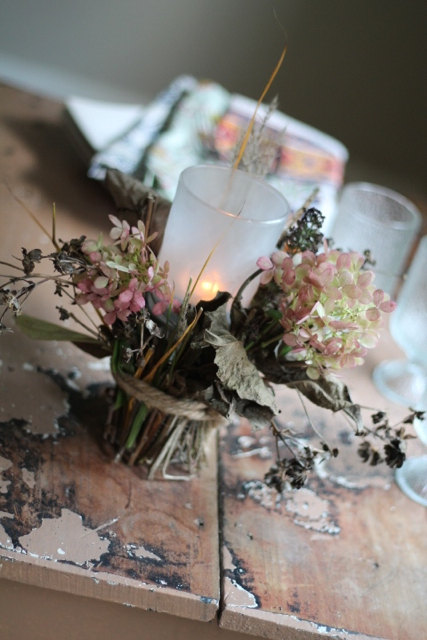 Dried foliage and flower heads from our backyard are used to create this wild centerpiece for an autumn table setting. 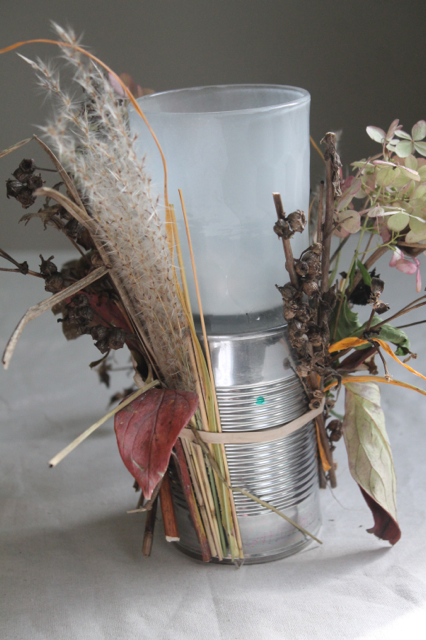 To make this centerpiece, I turned an empty can upside down and secured clippings to the outside with a rubber band. To cover the rubber band, I tied on a piece of jute. I then placed a votive candle holder on top of the can.